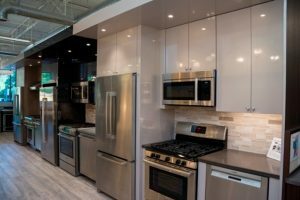 So, you are buying a full suite of appliances for your kitchen. It is not easy researching each unit, but there may be a better way. Consider buying the brand. This strategy works because all your appliances will match. Rebates also increase when you buy a whole kitchen package. 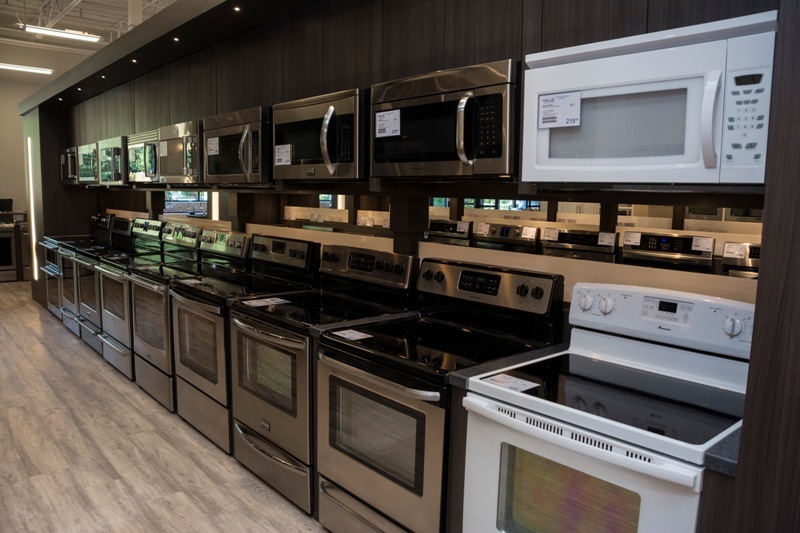 It’s a much smarter way for you to buy appliances. At the same time, this is your kitchen. Buy what you like and what you will use. Just be mindful of the different handle styles and shades of stainless of the different brands. At the same time, this is your kitchen. Buy what you like and what you will use. Just be mindful of the different handle styles and shades of stainless steel finishes of the different brands. $1,599 Electric / $1,699 Gas – This package offers up to $180 in rebates. This stainless steel package includes an 18 cu. ft. fridge, electric or range, stainless steel dishwasher and over-the-range microwave. 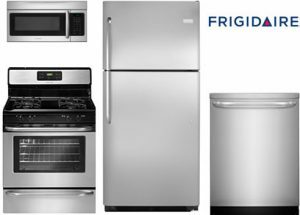 Frigidaire is a great builder or starter home package. 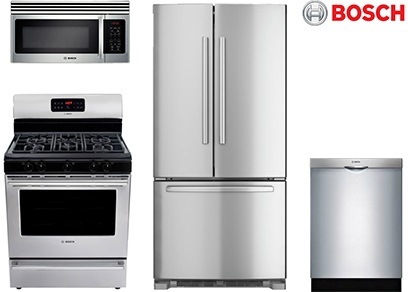 It has a coordinated look, and is actually one of the most reliable appliance brands. This Samsung starter package has some great features. It has a 25 cubic foot side by side refrigerator, convection range, over-the-range microwave and stainless interior dishwasher. 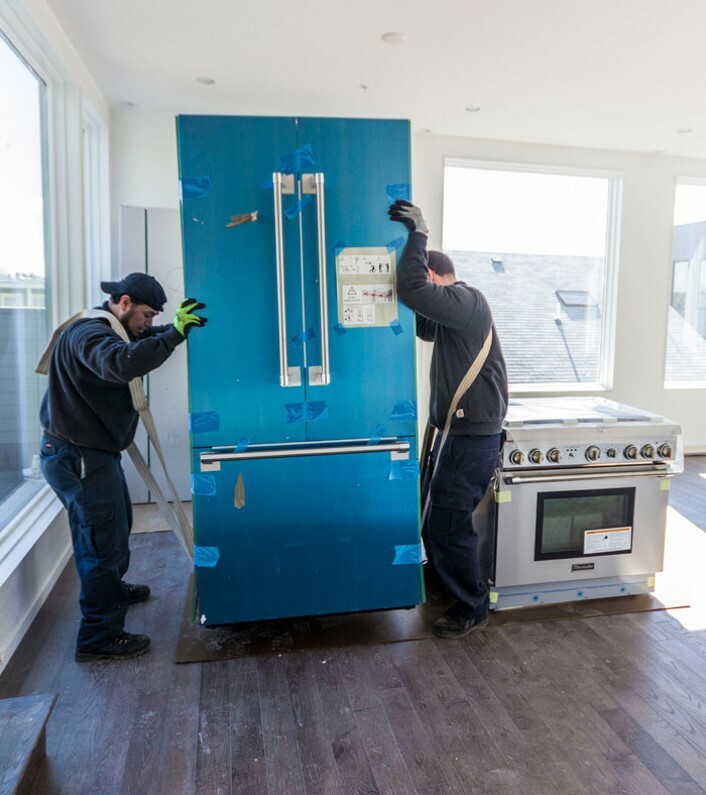 The appeal is the big 25 cubic foot refrigerator. 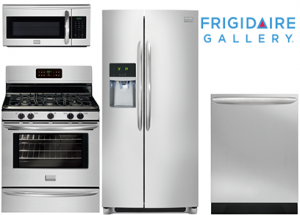 Frigidaire Gallery is the more upscale looking line with stainless handles instead of black and a generally better appearance with more stainless steel. Counter depth is the best feature to this package.The refrigerator will not protrude into your kitchen. 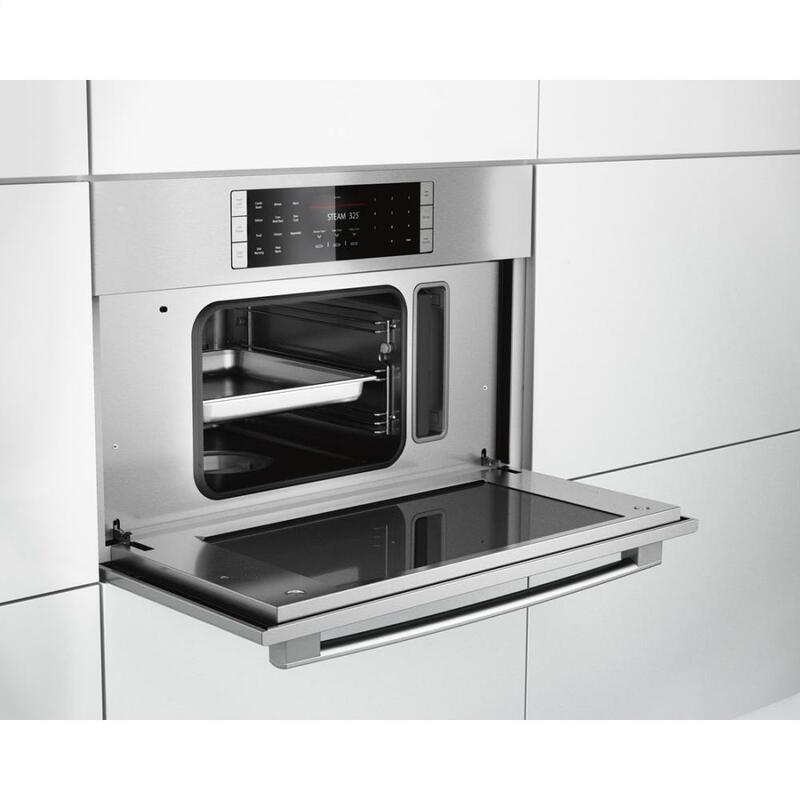 It also has a stainless interior dishwasher, over-the-range microwave and a convection range. It is unusual to have counter depth at this price. Bosch products have style. This package features a French door, convection range and an over-the-rang microwave. The dishwasher is incredibly quiet. The new KitchenAid has a more professional appearance and style. 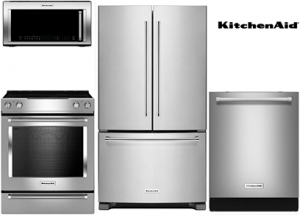 For $3,199 you have a large French door refrigerator and convection range. Their iconic dishwasher is also excellent. 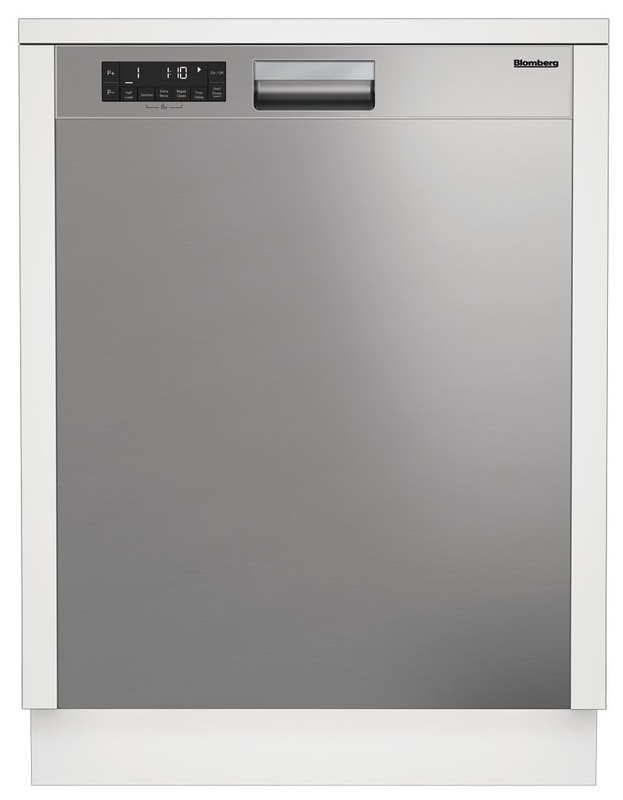 The range has True convection, and the dishwasher has their WaterWall technology. However, their 4 door French door refrigerator is the highlight of this package. The Jenn-Air is perhaps one of the best packages to consider with a 22 cubic foot shallow depth refrigerator along with an integrated, quiet dishwasher. The range is a slide-in, so you can see your backsplash. Jenn-Air also has the largest interior of any range currently on the market and is powered by convection. The bottom drawer can also warm food for up to three hours. The over-the-range microwave is also convection, so it can be used as a secondary oven as well. So you essentially have two ovens and a warming drawer. Well, this list runs the gamut. 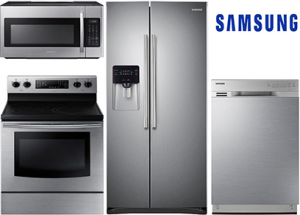 If you are starting out, Frigidaire, and even Samsung, are decent options. 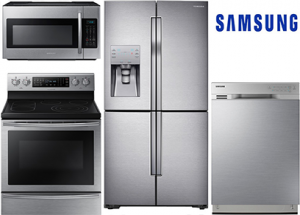 Samsung has the cool factor, but Frigidaire is more reliable and available. Frigidaire Gallery has a counter depth refrigerator for an inexpensive price. 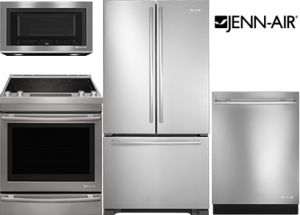 Jenn-Air has every feature under $5,000. There is not one package for everyone (it would be easier if there were). Just assess your needs and buy what you like. We have approximately 20 more by clicking the link below by Bosch, Maytag, Electrolux and more. Brands participating in the 6.25% off or 12.5% Yale gift card include Samsung, Bosch (not Benchmark line), Whirlpool, Maytag, Amana, KitchenAid, Bertazzoni, Blomberg, Marvel, Frigidaire, Electrolux, Liebherr, Capital, Faber, Zephyr, Best and Speed Queen. 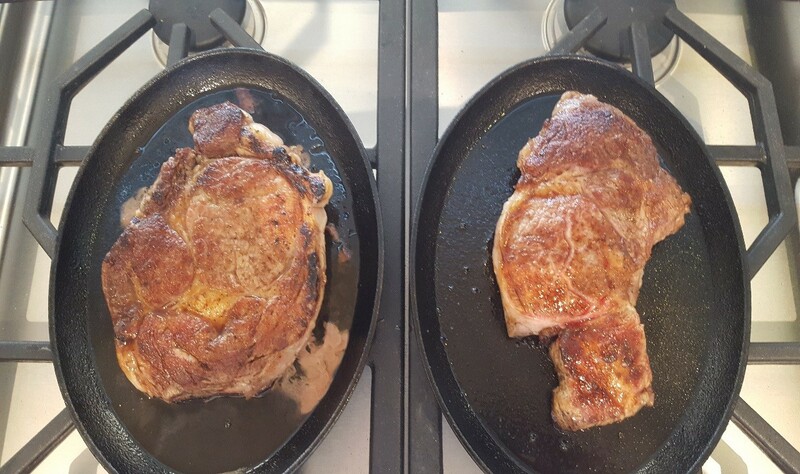 Induction vs. Gas: What’s the Fastest Way to Sear a Steak?